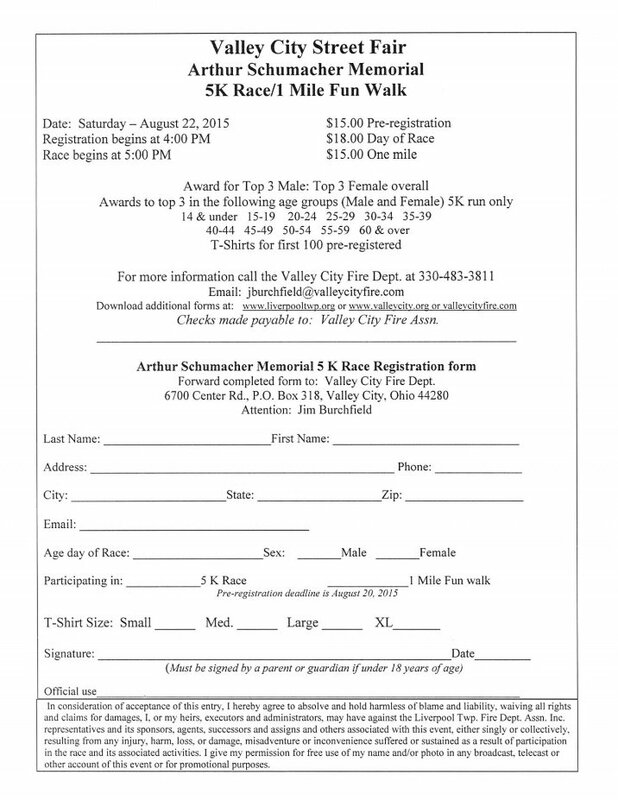 As part of our 81st Annual Street Fair, the Valley City Fire Department will be hosting the Arthur Schumacher Memorial 5K race and 1 mile walk. The event will take place on August 22nd, with registration at 4:00pm and the race beginning at 5:00pm. You may download the attached registration form or pick it up from our station at 6700 Center Rd. any day between 6:00am and 10:00pm. After filling out the registration form with a $15.00 pre-registration fee you may mail or drop the form out if you are interested in participating. Hope to see you there.